Journey is really the best word. Thirty years of researching, detoxifying the home environment, creating an organic, colorful and nutrient rich diet, increasing the oxygen infusion in the blood and to the brain, employing creative hands-on learning techniques, and working through day long sessions of physical therapy and yet there was always that feeling that we were riding a roller coaster. The neurologist had told us to expect that wild ride when they attached the diagnosis of Lennox-Gastaut Syndrome (LGS) to my daughter. “There will be bad periods of seizures and then things might get better, just for a while. Keep in mind, LGS is just a description of a group of signs and symptoms often found together in patients, it is not the organic cause for her symptoms,” he explained. For us as parents, it was a holding pattern or a waiting room, until someday we might know the real cause. That cause was to remain a mystery until just after her 30th birthday. The wait came with a good deal of wondering. Could we have…What if… Should I be doing this or that…? Most of these questions had to do with whether we were doing our best for our precious daughter. She was ten when a sense of peace came over me, not based on my understanding of the problem but based on faith. This was not about whether I could solve the medical mystery; that was not going to be my discovery to claim. Instead it was about being faithful to the care and love for my daughter. And so we kept current on the science and dove even more deeply into the care and relied on physicians and therapists who stood beside us steadfastly. And the doctors were right about the roller coaster. There were real victories for her: she went from an ataxic awkward walk to a 12 minute mile run, single words changed to complete sentences, unable to get free from gravity to 500 jumps in a row, holding her breath in the pool to a water worm, and not recognizing letters and numbers to reading and understanding at the 5th grade level! But there were low points too, countless medication changes, daily shots for growth and allergies, loss of her front teeth as her cerebellar atrophy progressed, and most significantly, the ruptured appendix and unrelenting seizures that necessitated four successive hospitals over three months, and an induced coma resulting in paralysis. She is wheelchair bound now but still wakes every morning with joy on her face ready to take on her job, a full day of therapy, she is determined to make more progress. Her indomitable optimism, faith and humor have enriched all of our lives. There have been sacrifices. Her dad has been her fearless hero with his tickles and his nicknames, her sisters have fed, slept with, and helped her with therapy when they could have been with their friends, family members have cared for those precious sisters in our absence when she was hospitalized, a law career was shelved, ball games were missed and vacations cancelled. But she has been as inspiration to all of us and has had an adhesive affect that has joined our extended family at the hip. She is our hero. We felt that someday we would know the cause of her problem and that day finally came on August 16, 2017 in the form of a genetic test and report showing a de novo mutation in the KCNA2 gene, a gain of function mutation that interferes with her brain. As far as I can tell there are seven other people in the world with the R297Q mutation. Because of privacy rules, I have not found them, yet, but while I search, I am researching tirelessly. And when I find them (and will!) I will be armed with information to share as we march to finding a treatment together. We are not going to ride the roller coaster anymore, we are going to put on our running shoes, find our team mates and jump the hurdles until we find hope help for my beloved daughter and for the young children whose full and happy lives will be ahead of them. This Blog Post was written by a Mom and her journey with a daughter diagnosed with a rare genetic disorder. I will not disclose the name of both the mother and daughter for their privacy. 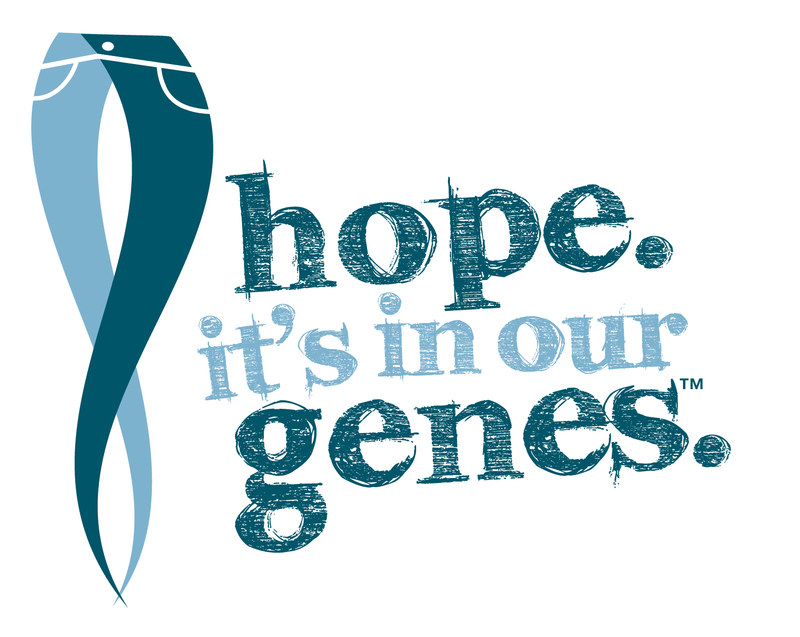 If there are other parents, relatives and/or patients with this disease and this specific genetic mutation described here please “Contact Us” at Genome Connect.com. For more information on rare disorders please check my last article entitled “Rare Genetic Diseases: Update on Diagnosis, Treatment and Online Resources”. You are currently browsing the Genomic Enterprise Blog blog archives for February, 2018.